FILE - Ben Carson speaks to reporters during a news conference before the Black Republican Caucus of South Florida's "Diamonds & Ice" Scholarship gala, on Nov. 6, 2015, in Palm Beach Gardens, Fla.
Department of Housing and Urban Development Secretary Ben Carson has requested his agency rescind a purchase order for a pricey dining room set, the department said Thursday. White House spokesperson Sarah Huckabee Sanders confirmed Thursday afternoon that Carson has canceled the purchase of the furniture for his department office. The price tag on the dining set — which includes a custom hardwood table, chairs and a hutch — was $31,561. That figure was first reported Tuesday by the New York Times citing federal procurement orders. As NBC News reported, approval of the purchase, made in late 2017, would have come just weeks before the White House proposed slashing billions in federal funding from the agency’s efforts to help predominantly minority urban communities and disabled and elderly families. Reports of the dining set's purchase came on the heels of a complaint filed by HUD's former chief administrative officer alleging that she was demoted after she refused to bankroll a costly remodeling of Carson's office. 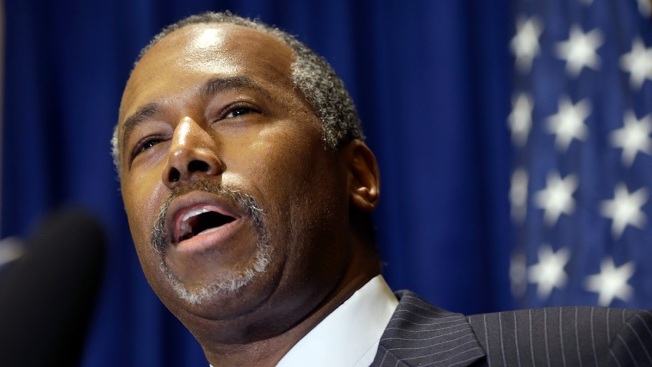 HUD officials have said the purchase was made without Carson's knowledge.